My weekly meal prep routine- this is my typical routine for prepping meals ahead for the week. Spending a bit of time on food prep helps my family eat healthier and reduces our stress. 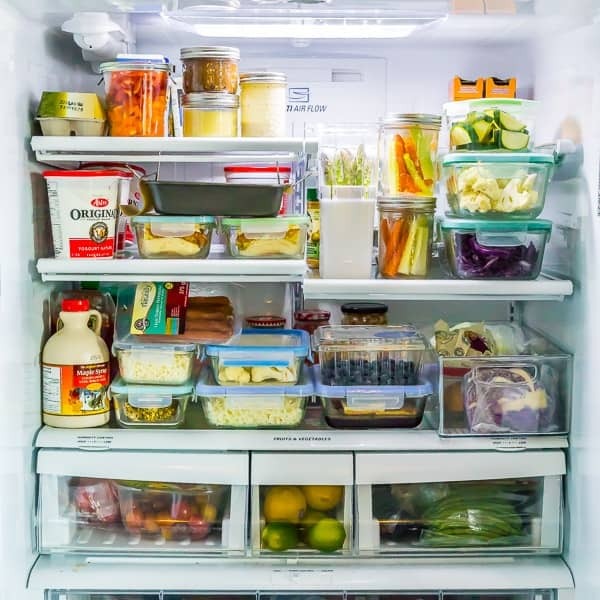 When I started meal prepping I thought I either had to prepare a whole week’s worth of breakfasts, lunches, dinners and snacks, or that I had to spend 8 hours stocking up my freezer with 65 freezer meals. Turns out, neither of these extremes actually work for me. Meal prep is going to look different for each individual and family, but it always helps to see how others do it, so I’m happy to share my weekly meal prep routine with you guys today! I want to emphasize that this is not how you have to meal prep. You can take bits and pieces of this routine and try them out and find out what works for you! Through experiment, you’ll find the recipes and routines that work for you and your family. Psst! 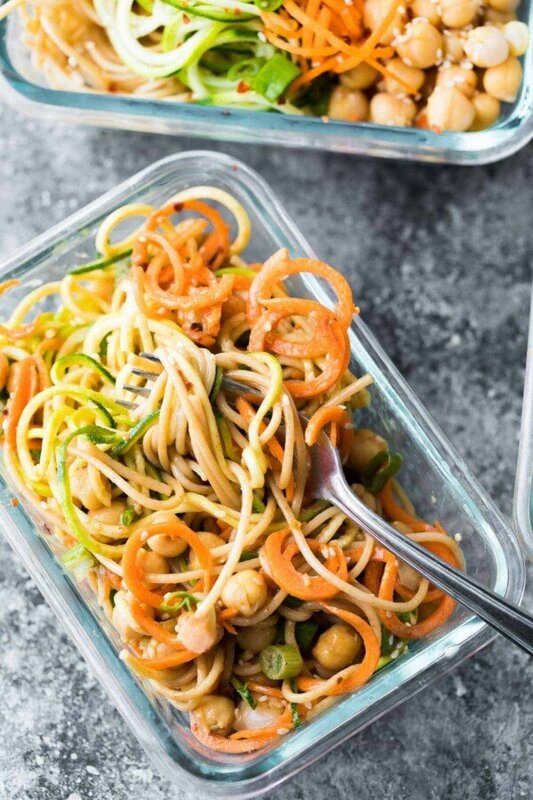 You might also be interested in How To Meal Prep– a post full of tips & tricks for beginners! Watch the video below to see an example of my weekly meal prep routine. You can find more of my recipe videos on my YouTube channel, or on Facebook. I really believe that the most important step of weekly meal prep is in the planning stage. 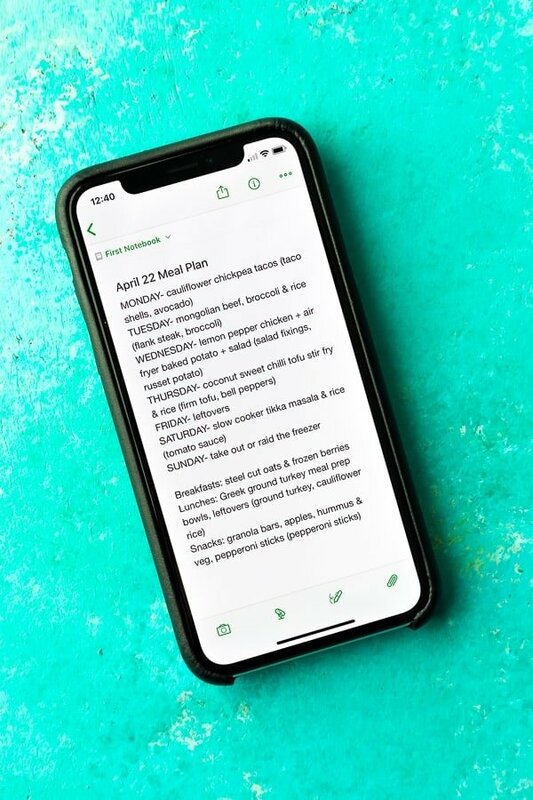 I write out a really rough meal plan in my Evernote App. If you’d prefer to write out on paper, I have a meal planning printable here for you! I want to compare how I used to meal prep versus how I prep now. 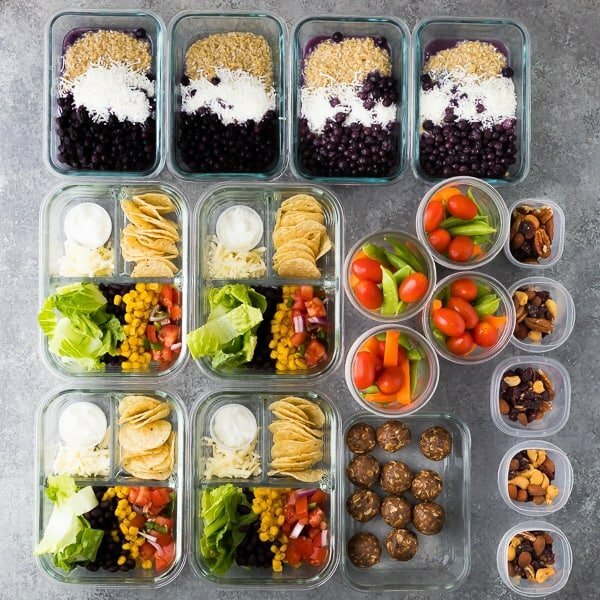 How I used to meal prep (pre-baby)– one big prep session, 1-2 hours long. Ben used to take Kai out for some boy time and I would hustle in the kitchen and get the fridge stocked. Meal prep is my ‘me time’ and I loved this time…I would crank up the tunes or put on Netflix and just get things done. 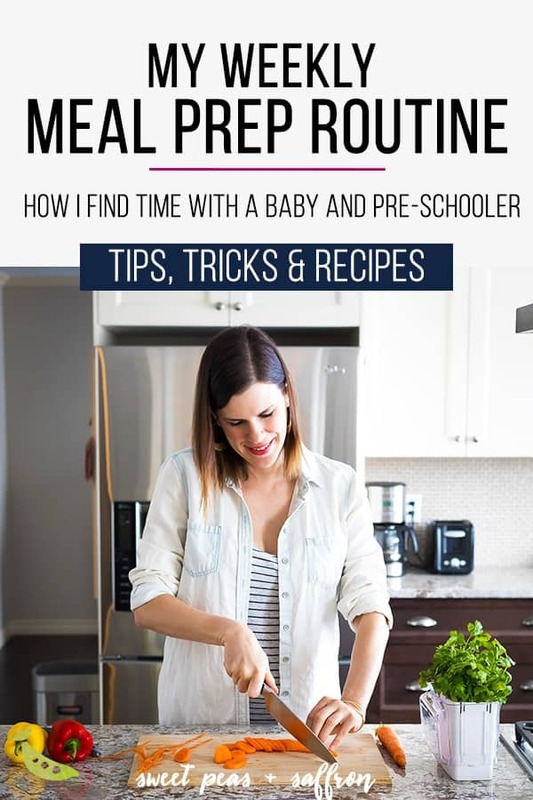 How I prep now (with an 8-month old and a 4-year old)- 2-3 mini prep sessions. I don’t get uninterrupted time in the kitchen as often these days, so I split up my meal prep into multiple batches, often over a few days. I try to multi-task while I cook dinner, or squeeze something in while Ben gives the boys a bath. I also often do a second ‘mini-prep’ mid to late week for our breakfasts. We rely on leftovers for lunches later on in the week, so I plan them into our schedule. When it comes to breakfast, I really don’t mind eating the same thing week after week. However I do like to come up with new ideas for you guys, so I experiment with new recipes. I often do a second breakfast prep mid to late week. For snacks, I try to choose one sweet and one savory option. If I don’t have time to prep, I will rely on store-bought options. I love Larabars as a healthy sweet snack, and pepperoni sticks as a healthy savory snack. 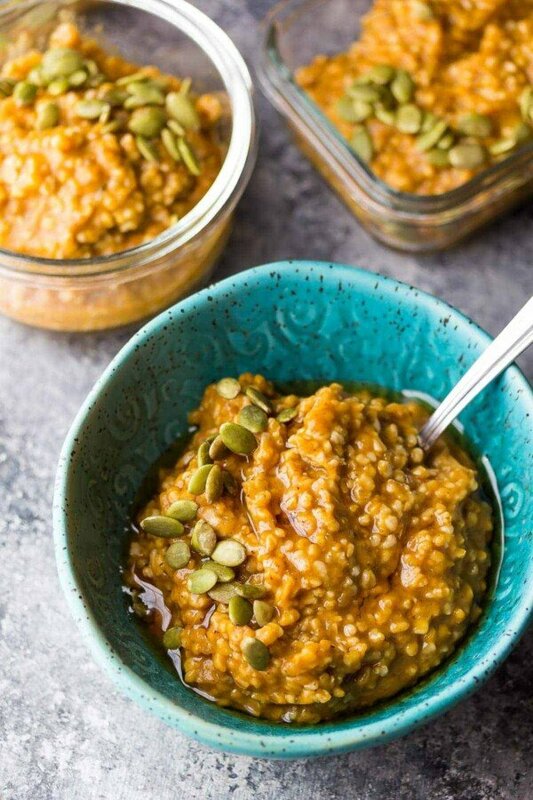 Fruit with nut butter and veggies with hummus are also great options to have on hand. Lunch is the most important meal for me to have prepped (otherwise it’s grilled cheese sandwiches for me! ), and I prefer a fully assembled meal. I am often testing recipes for the site during my meal prep. This is probably where you and I will differ. Because I’m a food blogger, I’m constantly testing recipes at dinner. If you work outside the house, you might want to plan some dinner prep into your weekly meal prep routine. You don’t have to plan full meals, but can prep portions of dinner ahead. If you are interested in ways to meal prep full dinners ahead, check out my round-up post with 38+ freezer-friendly dinners! And there you have it, my weekly meal prep routine! I hope you can see that meal prep is actually quite flexible: you don’t need to do it all at once, and you don’t need to prep all your meals for the week. Even just focussing on preparing one meal ahead can benefit you! I hope this post has been helpful! Ask me any questions you might have in the comments and I will answer them! 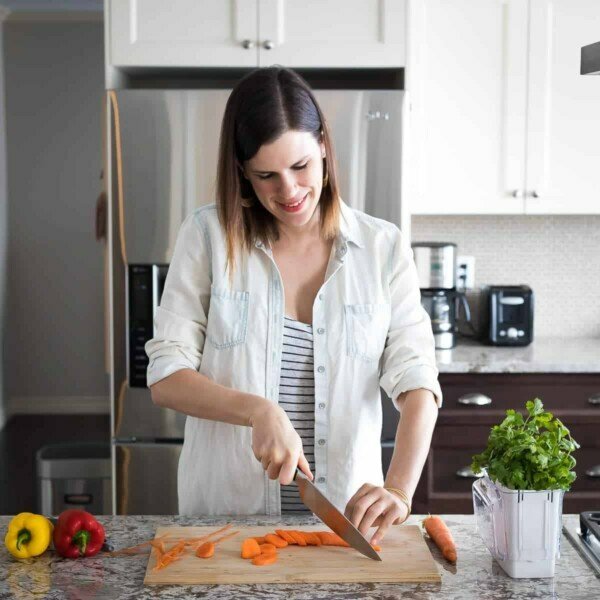 Denise, I appreciate you’re saying that you don’t do the ONE DAY method so much….Sunday is my ONLY full day off and It was discouraging to think that spending 3 hrs in the kitchen was my only hope of being able to have an organized week. I mean, looking back, I’m not sure why I thought I had to do exactly like you anyhow. As you said, I was thinking, “ALL OR NOTHING.” So thanks for mentioning that you don’t do it like that and you still have a plan in place! What’s the process for ricing cauliflower? Do you put it into the food processor raw or ??? Also, how do you “shred” the kale? Hi Dee! I have a whole post about ricing cauliflower (here! ), with a video to show you exactly how to do it. For the kale, I just wash, tear into bite-sized pieces, then spin to dry in a salad spinner. Hope this helps! 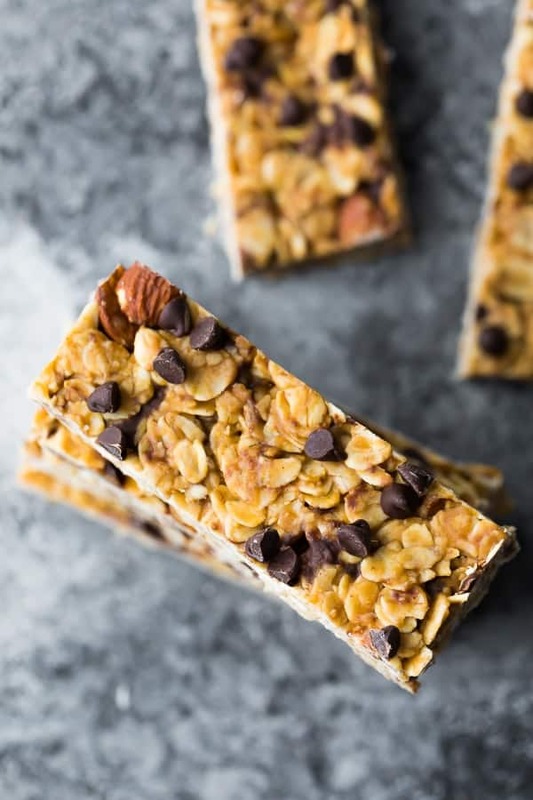 Hi – the link to your paper weekly meal prep sheet isn’t working for me – would you be able to resend it? Hi Emma! I’m so sorry about that, I have uploaded it to the post now! Thanks Denise! I will be using your guide this weekend! I still like the traditional paper and pen method!? Thanks for this glimpse behind the scenes. I’m new to meal prep (and planning, if we’re being honest), but I love having a few dinners ready to go. It makes such a difference. You’re totally right that when I think of meal prep I think of everything for every meal DONE. This insight into how you work and cook is helpful to realize that it doesn’t have to be all or nothing. For me, dinner and snacks are my most important meals to have thought through in advance. I’m glad you enjoyed the post! Isn’t it amazing how having even just one dinner component or just a plan really helps?